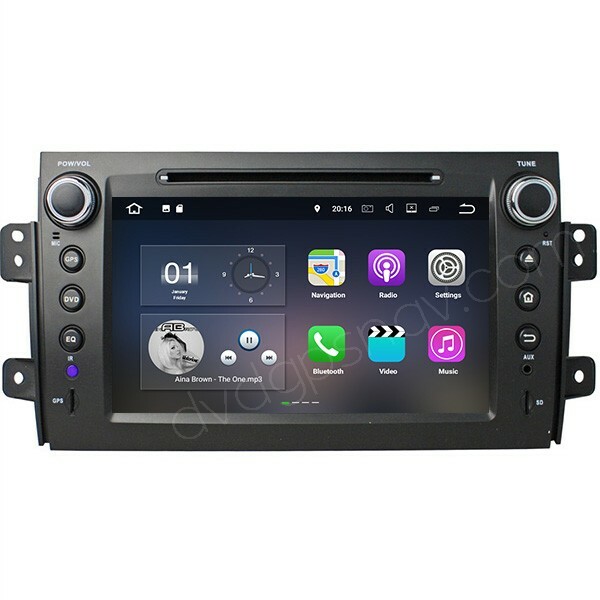 Special for Suzuki SX4 2006, 2007, 2008, 2009, 2010, 2011, 2012 and 2013 year model, perfectly fit, plug and play, for 2014 Suzuki SX4 S Cross please contact us for another model. 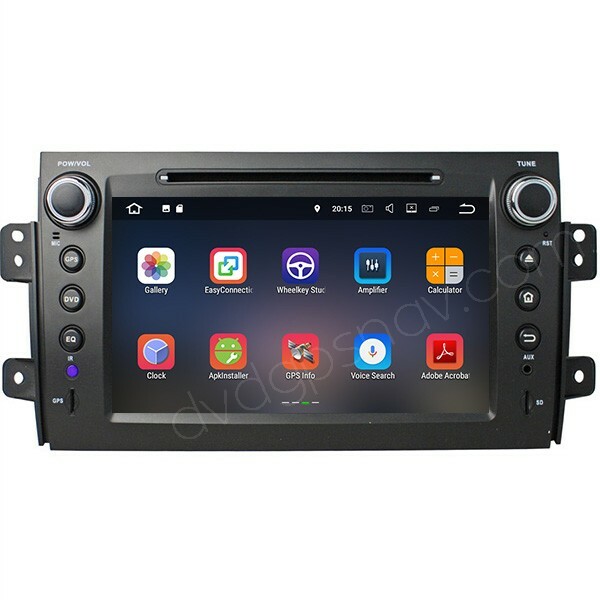 This Android Suzuki SX4 radio DVD can also fit Fiat Sedici which is the same car with different name. Buy now get a 8GB SD card with GPS Maps for free as a gift! Latest upgrade: This Suzuki SX4 Android radio has been upgraded with Android 7.1 system now, 2GB RAM. Price is the same as before! 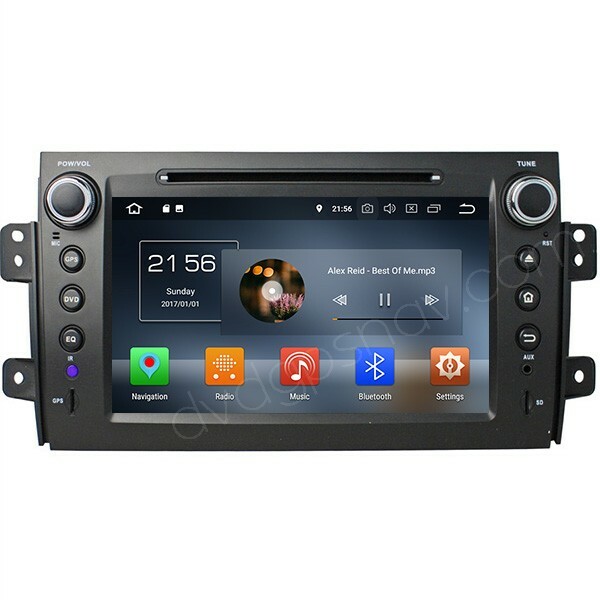 Optional: This Suzuki SX4 radio can also be upgraded with Android 8.0 system, Octa-Core CPU, 32GB ROM+4GB RAM. The above picture shows the Android 7.1 Quad-Core CPU 2GB RAM model. And the below picture shows you the Android 8.0 system Octa-Core CPU 4GB RAM Suzuki SX4 head unit, if you need Android 8.0 system you can choose the option before add to cart. 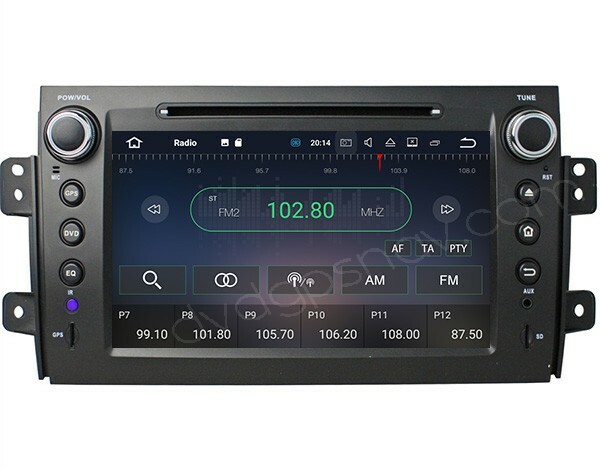 This is our latest double din Suzuki SX4 radio with Android 7.1 operation system, 1024*600 resolution HD capacitive touch screen, 4 cores CPU, 2GB DDR3 RAM, 16GB Nand Flash, GPS navigation system, Bluetooth hands free phone calling, Bluetooth music A2DP, support rear view camera display and steering wheel controls. Support different maps like Sygic, IGO, etc. You can play videos through SD, USB or DVD player. 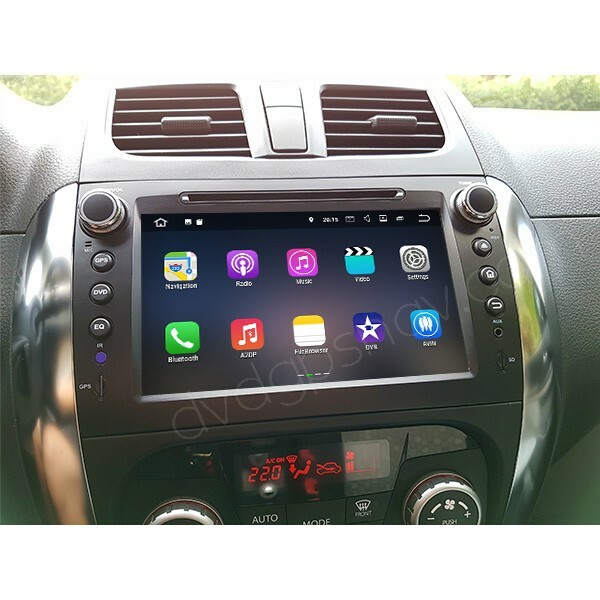 This Suzuki SX4 Android head unit fits Suzuki SX4 perfectly without a gap, and looks like OEM design. Q: Does this unit need a different antenna from the factory one? Or can I just plug in factory antenna and have all these features like nav and wifi? A: There's a radio antenna adapter cable included to connect the factory one. This Suzuki sx4 radio should use our new gps antenna and wifi antenna. Q: Hello, I'm looking to buy a new radio for my car and I was thinking about one of your product , the "Android Suzuki SX4 Radio DVD Navigation GPS Bluetooth 8" HD 1024*600 Touch Screen 1080P" But I had a couple question. Will all the buttons on the steering wheels work fine with the radio? I have an iPhone , would most of the radio system work anyway? Thanks. 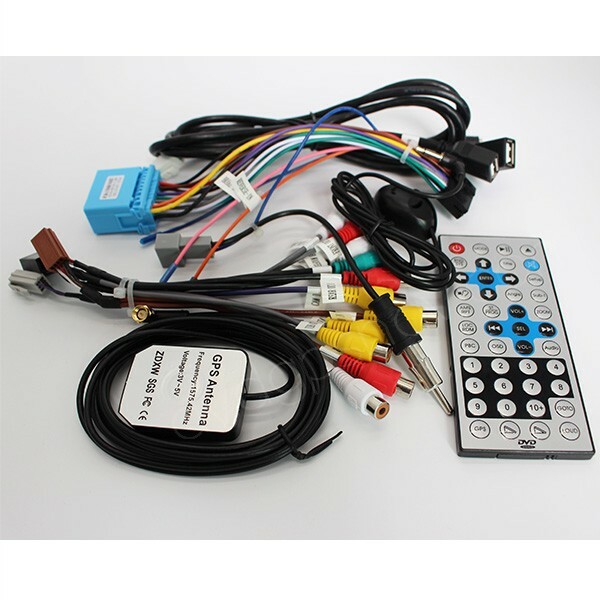 A: Hello, this Suzuki SX4 radio supports steering wheel control buttons, so they work with this radio after installation. You can pair it with your iPhone for Bluetooth hands free phone calling and Bluetooth streaming music. A: This Android Suzuki SX4 Radio navigation fits Suzuki sx4 sedan 2009 year as well.